Jon is a Partner and Co-founder of Predictiv Consulting and PredictivAsia. Predictiv assists Global 500 corporations, government agencies, family-owned businesses and not-for-profits improve management performance, organizational effectiveness, marketing and communications strategy. Predictiv has particular expertise in measuring the impact on financial results of intangibles such as strategy execution, reputation, brand, innovation and post-merger integration. Clients have included Southwest Air, Pfizer, Major League Baseball, Petrobras, General Motors, UPS, United Technologies, BASF, the U.S. Joint Chiefs of Staff, Novartis and Visa. 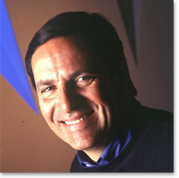 Prior to founding Predictiv, Jon was a Senior Fellow at Cap Gemini Ernst & Young’s Center for Business Innovation. Under his leadership, CGEY produced major business strategy reports including Measures That Matter, Success Factors in the IPO Transformation Process and The Value Creation Index. He organized and co-hosted with Forbes ASAP an annual conference entitled Measuring the Future. Earlier in his career, Jon took a leave of absence from the investment firm High Street Associates to serve as Deputy Assistant Secretary of Labor (Acting) for Work and Technology Policy. Jon served on the SEC Steering Committee on the Future of Accounting and Financial Reporting, the Conference Board Working Group on Corporate Performance and represented the U.S. Government at the inaugural OECD Conference on Corporate Governance. Jon has served in a number of positions related to his work such as Co-Chair for Strategic Organizational Issues of The Brookings Institution’s Task Force on Intangible Sources of Value. He has presented his findings to the U.S. Securities and Exchange Commission, the Financial Accounting Standards Board, European Commission and the New York Federal Reserve Bank. His work has appeared in Forbes, the Wall Street Journal, Harvard Management Update, New York Times and Business Week. Jon has appeared on ABC, CNNfn, CNBC, PBS and other electronic media. He was co-editor of Enterprise Value in the Knowledge Economy, a joint publication of the OECD and Ernst & Young in 1997. He co-authored the book Invisible Advantage, published by Perseus Press in 2002. He has contributed chapters to Business Power; Creating New Wealth from IP Assets (Wiley, 2007) and From Assets to Profits (Wiley 2009). Jon currently serves on the Board of the Center for International Understanding at Dartmouth College whose Nominating Committee he chairs; is a Director of the Athena Alliance a Washington, DC-based policy research organization; a Director of Classical South Florida, an NPR affiliate radio station and a member of the Audit Committee of American Public Media Group. He is a graduate of Dartmouth College and Yale University’s School of Management. All material on this site is either my opinion or is considered here under fair-use. Please contact me if you feel that this is in error. The topics I cover here are often open to interpretation and I enjoy participating in engaging and lively discussions. Therefore, I encourage you to comment. With that said, I reserve the right to delete your comment if I find it to be inappropriate to the topic at hand, overly excessive, or spam. I will use no criteria in this decision beyond my personal judgment as it applies at that time.